Cleaning Your First Piercing. Getting your first piercing is always a big deal and it’s often a lot of fun. However, if your piercing is bleeding for a few days afterward, you need to take care of it by cleaning the site. This will encourage infection-free healing. 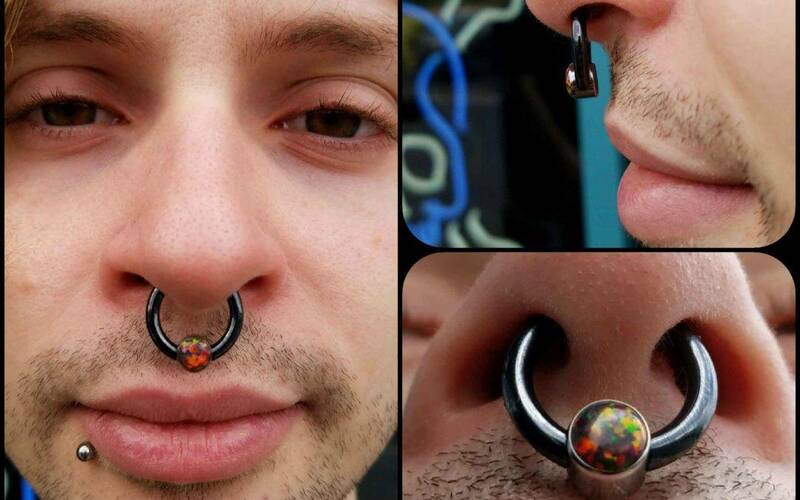 How can you clean a new piercing without touching it? Simple: take a light shower to rinse the pierced area. Let the water run down your head, with the pressure turned fairly low. Do this twice a day for at least a week or as bleeding occurs. This will help clean the wound and keep it disinfected. …move on to a saline soak. This requires purchasing saline from a medical supply store and pouring about 200 milliliters into a small microwave-safe cup. Warm it up for about 30 seconds and carefully dab the piercing with a saline-soaked cotton swab. Apply it for five minutes a session for two separate applications every day. By now, your piercing should no longer be bleeding. However, it’s still wise to clean it at least once every few days. However, over cleaning is no good as it can cause a variety of side effects that can be irritating. For example, you might experience skin dryness and flaking near the area where you are cleaning. This is especially true if you are regularly using salt to clean the area. After your piercing stops bleeding, you should no longer need to soak it with salt. A typical full heal time will vary, however, so make sure to keep some saline solution around the house, just in case. As you can see, taking care of a new piercing is actually fairly easy. If you are interested in getting your first piercing, or simply want to plan a pre-appointment inspection, please don’t hesitate to contact us today.